White Pocket V Neck Jersey Vest is rated 4.3 out of 5 by 49. Casual chic never looked so good. 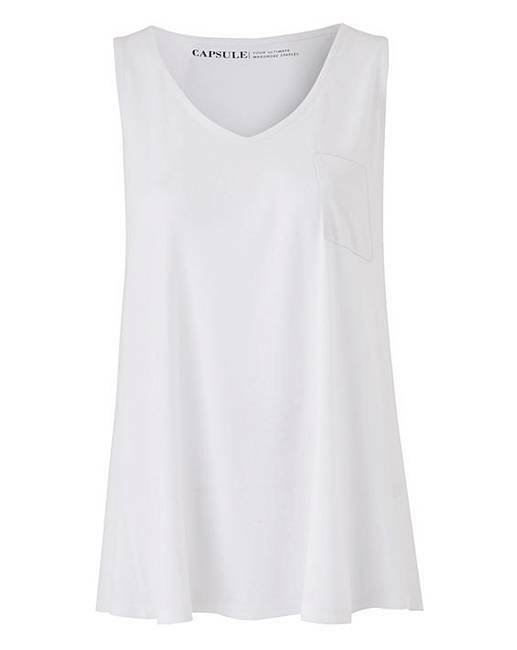 Give your everyday wardrobe a fresh new look with this new and improved V-neck jersey vest with pocket detail. 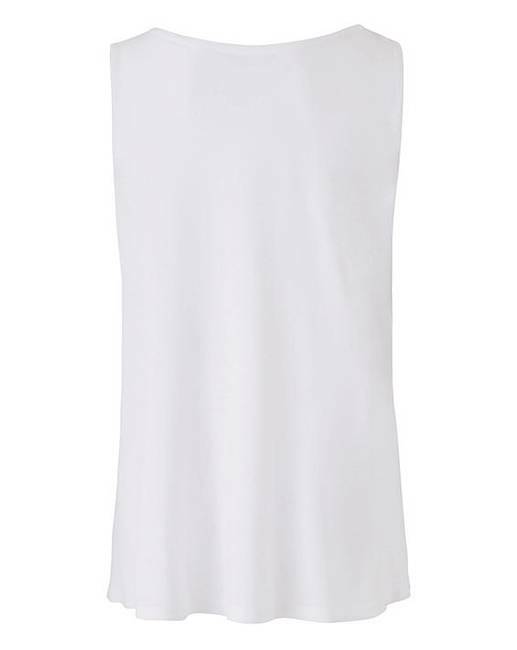 Made from a super-soft viscose fabric, this vest drapes down, flattering any shape and creating a trendy, low-key look. This top looks best when paired with jeans for a relaxed, easy-to-wear look that won't go out of style. Rated 5 out of 5 by Cazza29 from Lovely fit This is the second one I have brought in white as I was impressed with the quality for the price. I have also bought 2 in black. They wash really well & keep their shape. Rated 5 out of 5 by Kimtherightsizeplease from Great fit and comfortable. I have bought several of these tops as they fit and wash very well. 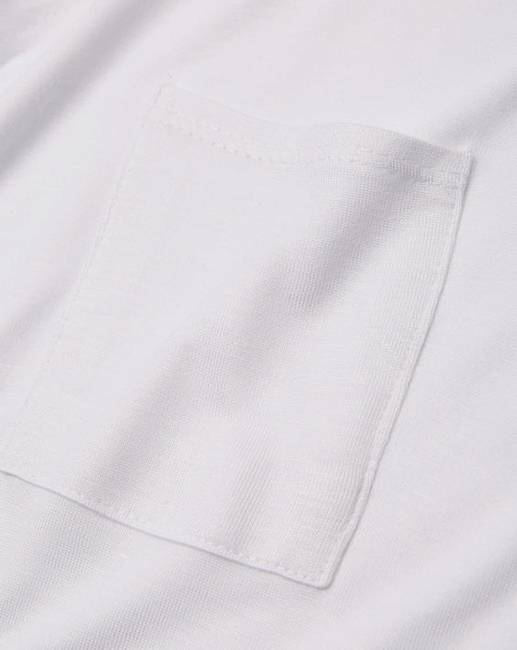 They hold their shape and are very soft to the touch and the material allows your skin to breath keeping you cool in warm weather. I would recommend these tops to anyone as they are a great price and a staple for your wardrobe as they go with trousers, skirts or shorts. Fab. Rated 5 out of 5 by Shaz from Lovely top Wished I’d ordered a few of these tops, long enough to cover the belly great with jeans or trousers or shorts. Rated 5 out of 5 by mumsy from quality material Beautiful cloth, doesnt move when washed doesnt need ironing if put on hanger. Good length, very good cut.looks well. Excellent price. So impressed bought a second! !